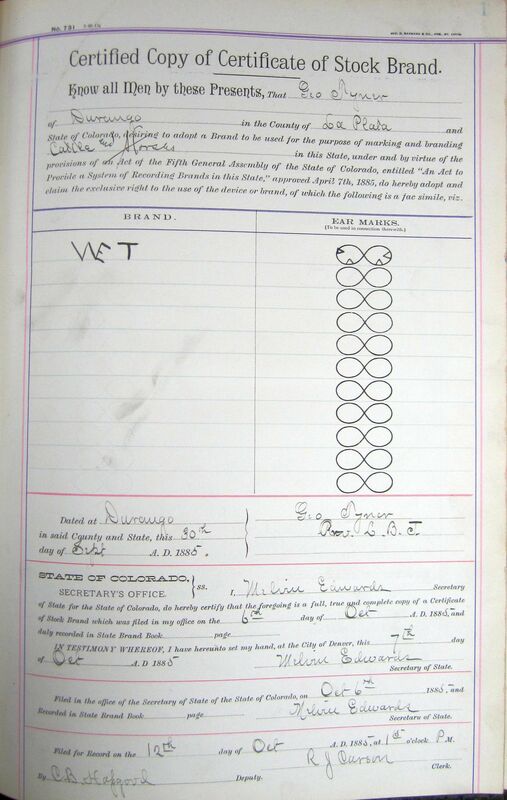 This is a transcription of a ledger that is in the possession of the La Plata County Clerk's Office. The cover says, "Register of Brands, No. 4." The original documents may contain information in addition to what was extracted below. To view an image of the original document, click on the page number.